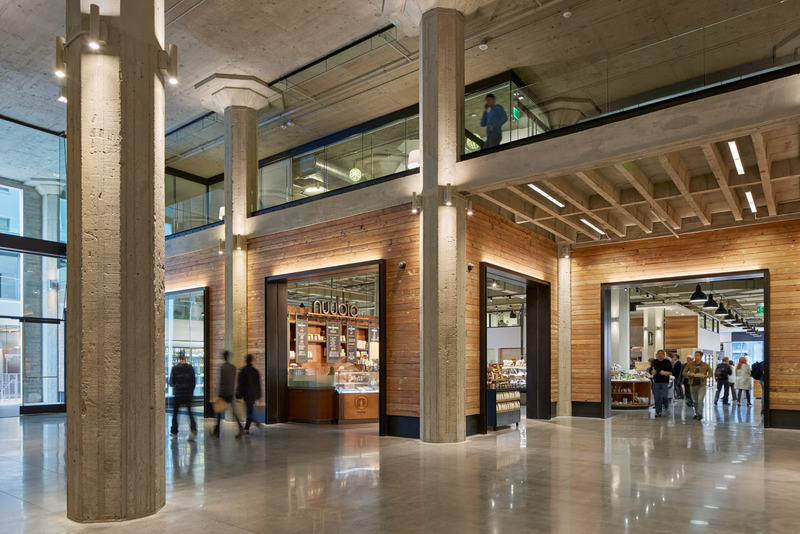 BCV is excited that the renaissance of San Francisco’s Mid-Market neighborhood – long an undervalued part of the city – has reached a significant milestone in its transformation, with its celebration as a dynamic urban environment in today’s New York Times. BCV’s pioneering work at Market Square, in which we envisioned a grand food-centric ground floor hall in conjunction with RMW, has now reached maturity. Tenants at Market Square include The Market, Bon Marché, Dirty Water and Cadillac Grill. In the article, “A Gritty Strip Transformed by its Food,” Times writer Kim Severson celebrates the role that a unique food culture can make to the transformation of a neighborhood.